The festival of Passover is celebrated in the early spring, from the 15th through the 22nd of the Hebrew month of Nissan. It commemorates the emancipation of the Israelites from slavery in ancient Egypt. More importantly, if we have received Yeshua as the Messiah, it commemorates the emancipation of our slavery to sin into newness of life. 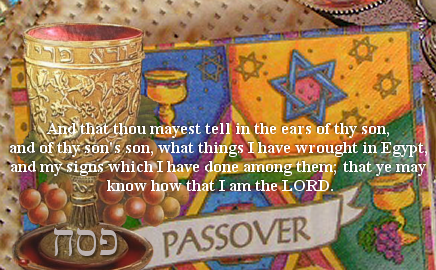 By following the ordinances of Passover, we have the ability to relive and experience the true freedom that our ancestors gained, and see the scarlet thread that points us to the Messiah Yeshua. We worship on the שׁבּת Sabbath [friday evening until saturday evening]; because our Creator, set the seventh day apart and called it holy (Gen. 2:2-3). Again at Mt. Sinai our Creator told Moses to, “Remember the Sabbath day and keep it holy” (Ex. 20:8-11). Not once in all of Scripture will you find that the day set apart by our Creator was changed to the first day of the week or any other day. 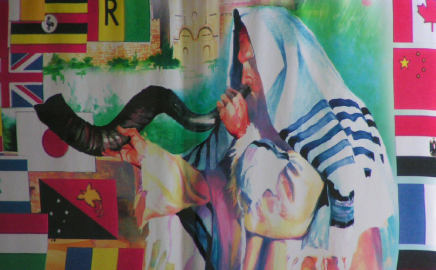 River of Life Tabernacle calls upon the Elohim of Abraham, Isaac, and Jacob. (The Elohim of Israel). We study and teach the Scriptures from a Hebrew language perspective, which reveals the true meaning of the stories and instructions we are being told. Hebrew Language Class ~ 2:15 p.m.
Torah Study ~ 2:45 p.m.